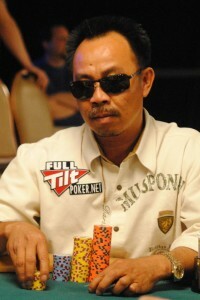 Trivia: Men “The Master” Nguyen is his cousin. David Pham is one of the fiercest poker players around. Born in South Vietnam, 1967, he fled to the US onboard a boat of 145 passengers. David was one of the 46 lucky survivors on that voyage and he went on to make history. David first worked for his cousin in a laundry business when he landed on the promising shores and it was only in 2000 when he had his first big break. He played in the WSOP making two final tables for $65K. The next year he claimed his first bracelet and won the $2000 SHOE event for $140 K. He took on a whole host of tournaments after that and reeled in some huge winnings, making quite the name for himself. Dubbed “The Dragon”, he has amassed more than $7.8 million in live poker earnings and has taken the poker world by storm with his confidence, sharp gameplay and attitude.